A fair few Raspberry Pi’s are now out in the wild and a lot of people want to use them as a media center. 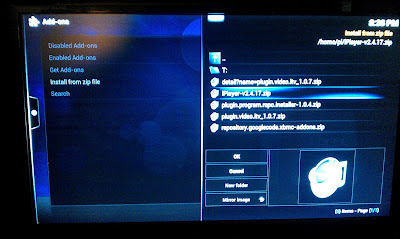 I’ve tried to make this as complete as possible for a step by step guide on how to enable BBC iPlayer, 4od, 5ive player and itv player on your Raspberry Pi. Feel free to comment if i’ve missed anything important! Also thought this would be a good place to recomend the keyboard i use for my Pi the Rii Wireless Mini PC Keyboard & Touchpad, its great for sitting back on the Sofa and controlling XBMC or a fully fledged desktop. This entry was posted in Blog on June 29, 2012 by Dave. This is so useful – only just realised you could do with with the R-PI. Thanks! Fantastic info – was trawling forums for simple way to install iplayer and found it here. 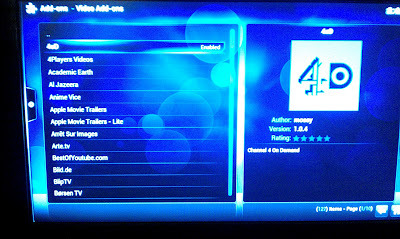 4OD link installs a simple repository downloader so you can choose other repositorys and hence plug-ins too. sayings something about the report and the content structure help? Just to note the default user name is pi not Pi as suggested in this article. i have done this but the icons dont appear under “video” etc ? Just a small note to say there is a typo on the username for SSH’ing in to the Pi, it should be “pi” in lowercase. Fantastic guide and now have the power of iPlayer and various streams on my Pi/desktop TV next to my gaming rig. Thanks very much for this. Great instructions which worked first time. Thanks for this. it worked perfectly. Just got rid of Pay TV – who needs it! Thanks very much – worked first time! Thanks for the instruction, all seems to work very well apart from the itv player, which leaves the “loading stream info” window on screen for the duration of the programme. Any one else had this or know of a fix? Tony Millin, I had the same problem with ITV player. Fortunately I had grabbed an image of the SD card from a couple of weeks earlier. 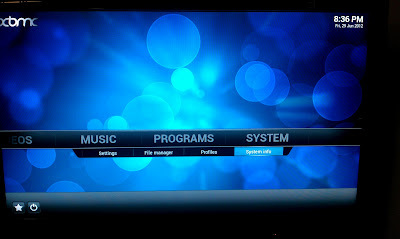 The first time I flashed the image back on to the card it downloaded the latest update of XBMC and the problem came back. So I flashed it a second time, and with the Internet connection removed from my router I went in to /scripts/upd_sys and edited all the files ending in .sh so that they had “exit 0” (without the quotes). I reconnected the Internet and all is fine now. 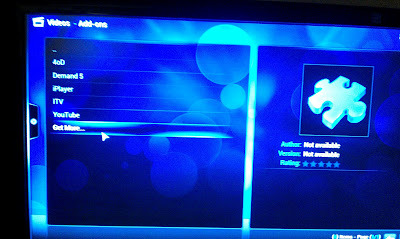 It seems to be a problem in the latest version of XBMC. Has any one seen an issue with 4OD? For some programs it works fine, but for some it says it cannot find the MP4 file. Does anyone know what causes it and how to fix it? 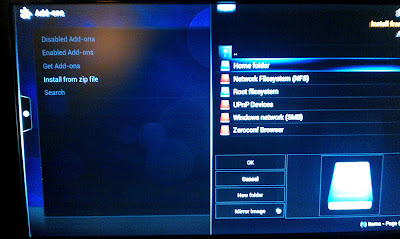 TIP: If you want to get at the Linux code behind XBMC, go to the shutdown menu, but choose Exit rather than Power Off or one of the other options. After a few second a screen appears saying something like “Relax. 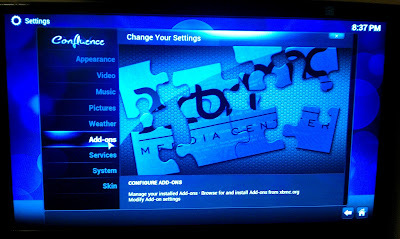 XBMC will restart shortly”. Hit Esc at this point and a login prompt appears. Login to “pi” (without the quotes) – default password “raspberry” (I changed mine to a password of “pi”), and you are in the Linux system. 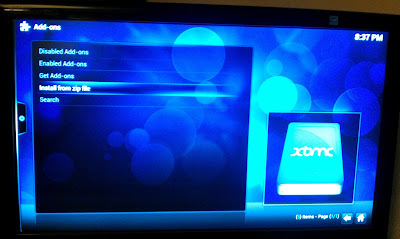 Log out to return to XBMC. Great idea! 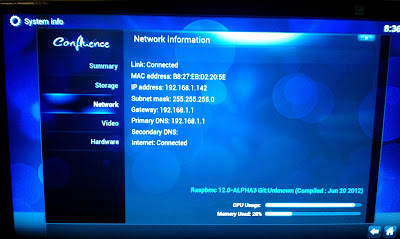 Up to now I’ve just been using my RPI for movies and not so much for streams. Also, I’d recommend using the very lightweight Quartz skin over Confluence. This is a great guide, thanks, but I’m having the same problem as Tony Millin with the ITV Player. 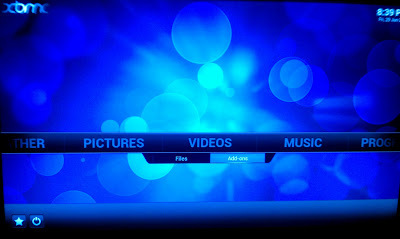 Unfortunately I don’t have an old xbmc image to go back to, so does anyone have any other ideas? I’m having problems, can anyone help? The install from zip seems to work fine so the iplayer etc works. 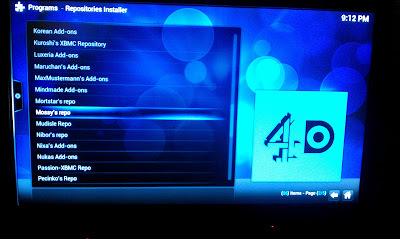 However, I can’t get 4od or 5 demand to install. After the addon downloads I get a message that a restart is required. I click ok, and nothing happens. Restarting by pulling the plug doesn’t help either. I’ve tried using a 4GB and a 32GB card with the same result. Perfect instructions, extremely helpful – thank you. Hi, Having the same issue as James m, Get though most steps but then it hangs after the re-boot message with another downloading box at 96%. left for several hours still the same. Hi there, I’ve downloaded the add-ons using wget as per the instructions, and they show up in the settings menu, but when I click them to install it just takes me back a screen and doesn’t install anything. Have I missed something obvious? Now what would make this *exceptional* would be if I could fit a wireless card as well! I had the same issue as Nik R and James M, I rebooted then went to Videos –> Add-ons (i.e. the next step in the process above) and they were there. Hi, I have got iplayer etc running on my Pi, but I cannot get any sound. Is there something I have missed? Going to try these link out tomorrow… Looks great. Great Info, as a noob on RaspBMC I would never have been able to do this without your help 🙂 Keep up the good work. BTW, I now have a waterproof tv using the raspberry pi and raspBMC near our hot tub 😀 happy days. 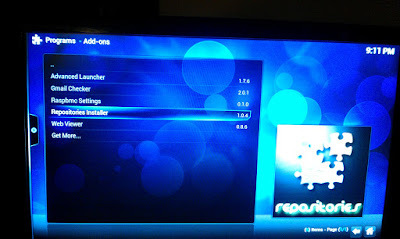 Using the above link to the RASPBMC windows installer it worked 3rd go on a new 8Gb class10 transend SD card. What might have made the difference 3rd time was that I used the “Restore device for formatting” button before “Install” button to create the SD image. (Maybe required for a new card?). I also found I needed to check the box for “install raspbmc to a USB drive” so the zipfiles of the players (addons) are on a recognized path in the USB transfer stick. The addon players were right-click-saved directly to the transfer USB. 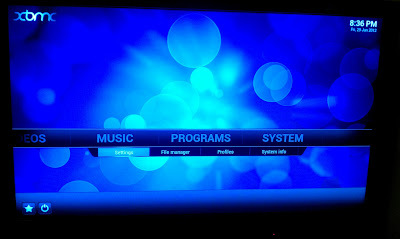 (The setup stalled, showing the raspbmc logo, after 15 mins – & plugging the usb in allowed the install to complete, launching 15mins later into the blue”confluence”theme ). Lovely. Then just needed to run the addins. The iplayer, itv & demand5 all work. 4od said “dependancies not met” until I realised I needed to addin mossy’s socksipy (frodo) script before the 4od addin. Excellent fun- I’ve not done this sort of stuff since I stopped messing about with win3x machine 20yrs ago. This leap means I don’t have to learn to program the Betamax anymore. PS My logitech K400 wireless keyboard works fine. Great tutorial, thanks. Is anyone else having issues getting demand 5 to work ? It appears to have installed correctly but when I select a program, I select the watch option (rather than download) and I get the Working symbol but then nothing happens – anyone else experience this ? Thanks for this tutorial. I would also like to point out – for those who are not comfortable with ssh, use an USB drive. 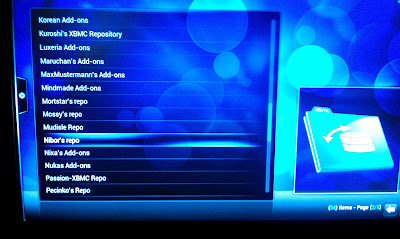 Download the zip file in your computer ->transfer in a USB stick,–>put the USB stick in your rpi –>navigate to system –>settings –> Add-ons –>Install from zip file –> scroll down to your USB drive (remember the size of your USB drive) –> select the repository and install. Then go back to the menu where you selected ‘Install from zip file’ and now select ‘Get Add-ons’. You should find your repository there. Select it and install your channel. Mark G – thanks for getting back to me, I’ll just have to wait. Still a good tutorial though. Many thanks – very useful. All OK up to step 11, though it’s worth pointing out that nothing much seems to happen when you select the zip files to install. There was no repositories installer option, so I skipped steps 13-15. 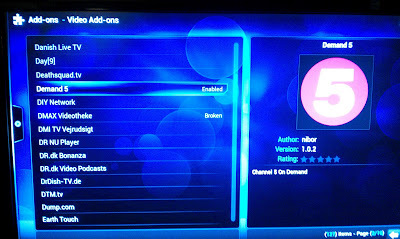 IIRC, iplayer etc were already in video add-ons at this point, so I didn’t need to do anything else. 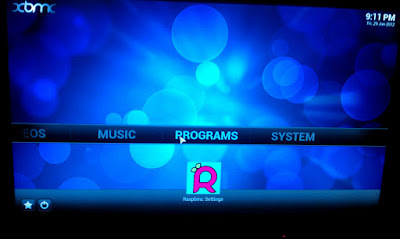 Great guide, however, I would like some one to tell me I am right, so far, I stalled RaspBMC on 8GB class 4, SD card, during setup I kept loosing the wired internet connection, Pi LEDs off, so bought an 8GB class 10 card, quicker installation, but as I work through the setup menus RaspBMC freezes. Is it now a power supply problem? Power supply is a Nokia 5.3v, 500 mA (as stated on unit). Yes, that PSU is not powerful enough for RaspMC. I have a 3 Raspberry Pis running on 1.5A PSUs and have no problems. I think a 1A (1000mA) is the minimum you should consider. Thanks for the link about your wireless keyboard. You’ve just saved me £12 – I had ordered the Logitech K400 (£30!) just cancelled it in time.